Should I Switch From AT&T GoPhone To Straight Talk? I just recently transferred my number to Go Phone to try it out and was thinking about trying Straight Talk’s AT&T do you see any differences in the speed or signal between the two. Which do you recommend or prefer? Also I noticed during the week my speeds are slower then on the weekend, like around 15 to 20 during the week and i have hit a max of 70 on a Saturday evening but mostly around 40 on the weekend. Do you notice a drop like this during the weekend on gophone? I’ve used Straight Talk’s AT&T network for three or four years now and I’ve tried Go Phone for a couple of months while reviewing the service. Based on my experience, I’d say the network signals and speeds are pretty consistent. I wouldn’t suggest switching from Go Phone to Straight Talk for faster or more consistent network performance. 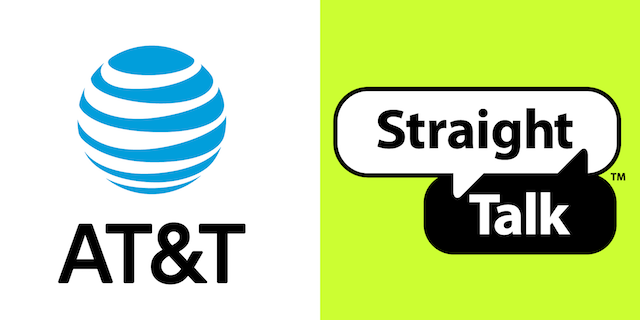 The only reason, I’d suggest switching to Straight Talk would be if you liked one of their plans better than AT&T’s. I don’t think Straight Talk has any features that AT&T doesn’t have so your decision would largely it would be based on the amount of high speed data included in the plan and the price. I’m my experience network performance fluctuates based on location, time of day, network congestion, and even possibly the weather. All we really know for sure is that AT&T or Straight Talk not have appeared to set a maximum download speed for their service. I am not sure I follow your specific question as you said the speeds where faster on the weekend but then asked if speeds drop on the weekend. I could speculate that AT&T has prioritized their post paid service on the network so that as the network becomes saturated, the prepaid network users are the first to see performance drop. It’s also then possible that AT&T has prioritized their Go Phone service over the many other prepaid services that use their network. Again, I’m speculating. So, I’d say if you are happy with the service, there is no reason to switch to Straight Talk. If you are using the iPhone, Go Phone should have Visual Voice Mail and that is a benefit for iPhone users. I believe Go Phone also has Rollover data too so that’s another reason to stay. I hope this helps. Let me know what you decide. How do I activate my phone to straight talk? I have the galaxy s7 edge and it is not activated right now.